Ohio. Ohio. Ohio. As the 2012 presidential election races to a nail-biting conclusion, all eyes are on the Buckeye State. Without it, Mitt Romney almost certainly will not win the White House. The state’s battleground status should not be a surprise: it has backed the winner in every presidential vote since 1960. What is unusual this time around is the suggestion of opinion polls that President Barack Obama may win a larger slice of the vote in Ohio than he does nationally; in all but one election since 1976, the Democratic presidential candidate’s performance in the state has lagged behind his national showing. Should the reverse indeed happen this year it could only be attributed to one factor: the president’s decision to rescue the US car industry. That act has led Ohio from a double-digit unemployment rate as recently as October 2010 to a jobless rate of 7 per cent today, below the national rate of 7.8 per cent. Michigan may be home to General Motors, Ford and Chrysler, but with a concentration of parts suppliers, Ohio’s 150,000 car industry jobs rank it as a not too distant second. More than 20 per cent of new jobs created in Ohio since mid-2009 have been within the sector. Add in the spillover effects for businesses from office suppliers to local bars and by some counts one in eight Ohioans depend on the auto industry for their livelihoods. As daunting as a rescue of the industry appeared to be in 2009, the next president faces an even greater challenge: reversing the course of US salaries, which are on a downward trajectory. 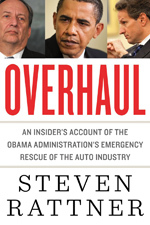 Solutions to this problem may be even more elusive than fixes to the auto industry. Once again they may also start in Ohio. Often depicted as quintessentially Middle American, Ohio is more diverse than its image suggests. It encompasses industrial metropolises such as Cleveland, smaller cities preserved in 19th-century amber, and farms that seem straight out of a Grant Wood painting. All told, Ohio is not all that different socio-economically from America as a whole, except for its lack of a significant immigrant or Hispanic population. But manufacturing remains at the core of Ohio’s economy. Even excluding carmakers and suppliers, companies that make things account for 40 per cent of new employment in Ohio over the past three years. That strong manufacturing presence means Ohio reflects many of the challenges facing the rest of America, particularly the continuing threat to manufacturing from globalisation. As strongly as manufacturing is rebounding, it follows a dizzying fall; in 1990 Ohio had 1.1m manufacturing jobs; today, even after the recent recovery, it has 657,000. Changes in incomes in the state are even more dismaying. A decade ago, a typical Ohio family earned about $53,000, identical to the national median income. Since then the national median household income has fallen to $50,000 (after adjustment for inflation). But in Ohio it has plummeted to $44,650. For Ohio’s sharper fall blame international competition, which has put huge downward pressure on pay. Nowhere is this more evident than in the car industry. A long-serving worker at one of the big three Detroit carmakers takes home about $28 per hour in cash pay (plus almost the same amount in benefits). However, in order for the big three to remain globally competitive, new workers – toiling side by side with their longer-standing colleagues – receive about half as much. New hires take home about $30,000 per year, well below the national median income, and hardly the definition of a good middle-class income. No president will be able to turn back the clock and eliminate global competition. Instead, the focus should be on preparing American workers for higher-skilled jobs that face less intense competition from developing countries. That will mean investing in education and training. It will be a long process that will involve considerable pain along the way. But realist political leaders will recognise that there is no quick or easy fix to the wage problem and embrace more protracted but efficacious solutions. In the coming days the old saying, “as goes Ohio, so goes the nation”, will be used often. It is a phrase that could be applied not only to our elections but also to the economic challenges facing America.